Video excerpts from the documentary "Around the World with Orson Welles" and photographs from Life Magazine provide us a time travel experience back to circa 1955 and a glimpse into the Basque world of many of our direct ancestors when they left Euskal Herria--the Basque Country. The coming of Basques to the Americas began in the post Columbus era (some have pointed out the probability of Basques even preceding Columbus and coming here as whalers). There were various push and pull factors that explain Basque migration. One push factor was the large size of Basque families with only one child inheriting the ancestral home; another factor was periodic wars, etc. Meanwhile a pull factor of the Americas--then and now--was the potential for opportunity. Basque migration to a new homeland--be it to Argentina, Canada or the United States--was usually marked by waves or periods of greater numbers. The California Gold Rush of the mid-19th century, for example, sparked a new wave of Basque immigrants. The most recent, and the basis of most of today's Basque-American community, was the Basque immigrant wave of the 1950-60s. We return to that world--what the Basque Country was like--circa 1955. Note however that this was then. The Basque Country since that time has undergone profound transformation. But here is a glimpse of what it was like when many of our ancestors came here as captured on film by Orson Welles' documentary and photographers at Life Magazine. 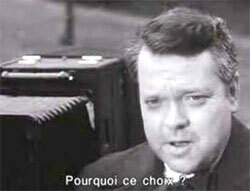 In 1955 the BBC asked noted American film-maker Orson Welles to complete a series of documentaries entitled "Around the World with Orson Welles." 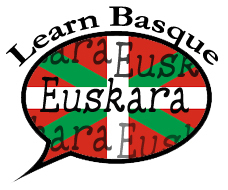 These are excerpts from one of the programs that features the Basque Country. 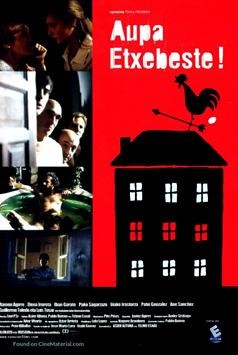 It was shot primarily in the "Iparralde" or northern part of the Basque Country.